Toyos Clinics has partnered with TLC Laser Eye Centers – a new name. Same great people – same great LASIK experience. See for yourself the difference TLC makes. The TLC Memphis LASIK Center sets the Gold Standard for outstanding patient experiences and outcomes. The knowledgeable and caring staff at the TLC Memphis Laser Eye Surgery Center will make you feel welcome from the minute you arrive. Take your first step to new vision today by scheduling a free consultation. This will give you the opportunity to ask your LASIK surgeon questions and help you feel confident in your choices. 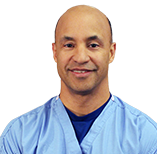 TLC LASIK surgeon Dr. Rolando Toyos is the leading refractive specialist in the area. Not only has he performed over 20,000 LASIK procedures in West Tennessee, but he was also one of the first surgeons to perform EpiLASIK in the United States. Schedule a Free LASIK Consultation in Memphis today! Dr. William Strickland enjoys family practice optometry, with emphasis in treatment of refractive and medical eye conditions. He specializes in contact lens fitting, in particular the most technologically advanced contacts. His interests include Ole Miss sports, wine tasting and medical missions.